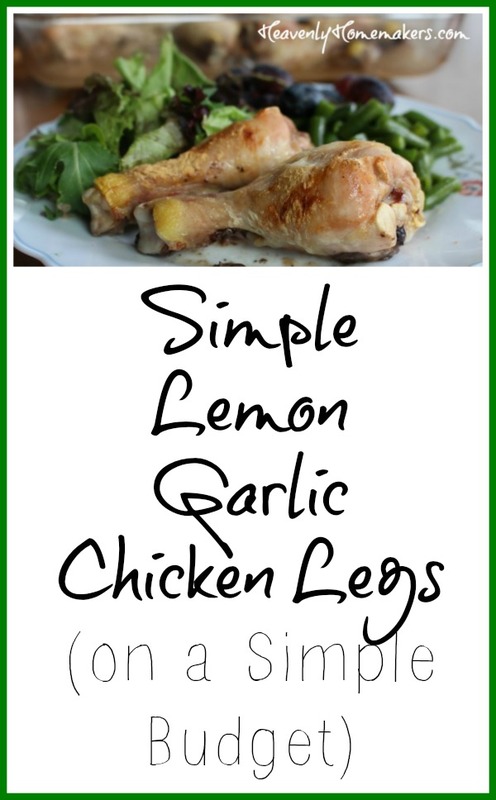 These Simple Lemon Garlic Chicken Legs will make everyone think you are a gourmet chef. Which, of course, you are. No one has to know your secret. The secret about how you spent five minutes making the chicken. Let’s just keep that between us. No one has to know how little you spent on this meal either. We can let everyone think you went all out with time and money. Want to know how much it cost me to serve this entire meal to my family? There were five of us home the last time I made this. My husband and me, our 17-year old son, our 15-year old son, and our 13-year old son. 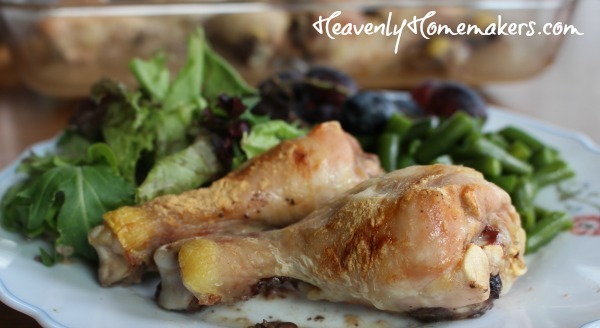 We ate a full pan of these chicken legs with mixed greens, grapes, and green beans. Total cost for all of us to eat? Total. For the entire meal. For five of us to eat a plate full of nourishment. Indeed. I’m so glad I did the math! 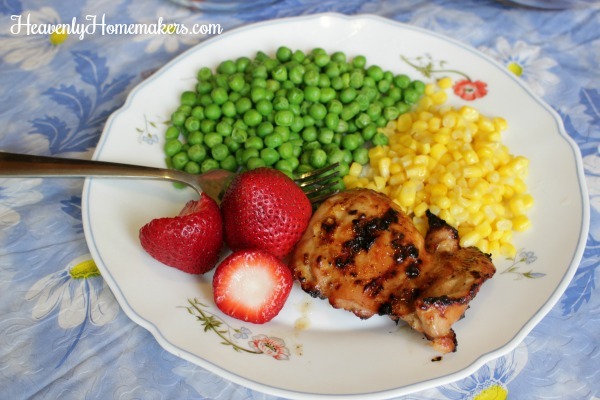 I always watch for chicken legs to be marked down at the store, which is a huge money saver! This time I used two packages which had been marked down to a tiny $1.27 and $1.34! So total for my meat this meal was just $2.61. Incredible! Add in the greens, veggies, and grapes and I’m estimating that our total for this meal was just $5.61. Now, not to geek out too much, but this breaks down to just $1.12 per person for this meal. 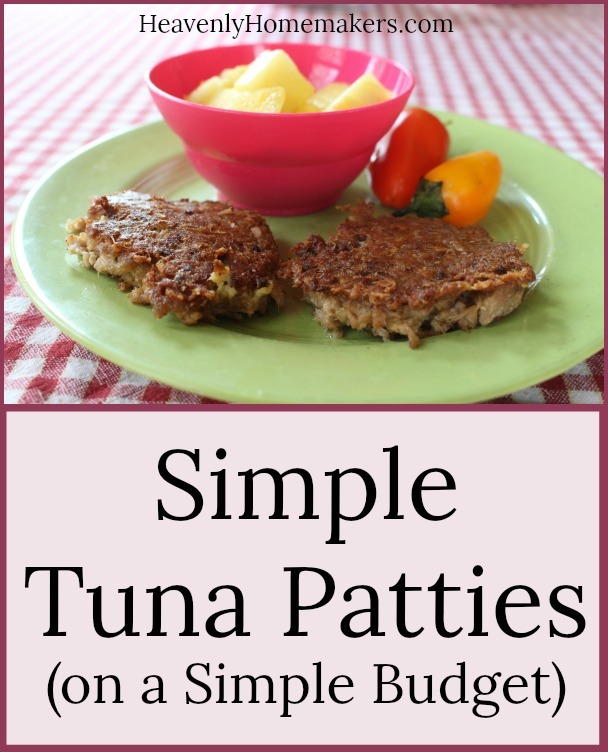 Man, I am loving this Simple Meals on a Simple Budget series! 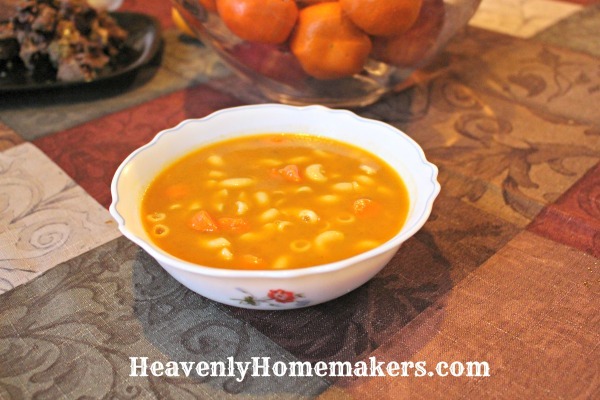 It is challenging me to see what meals pack the most punch to stretch our grocery budget! Oh! And I saved the chicken bones after we cleaned up all the meat and threw them into my Instant Pot for a small batch of chicken broth. Waste not, want not, right? 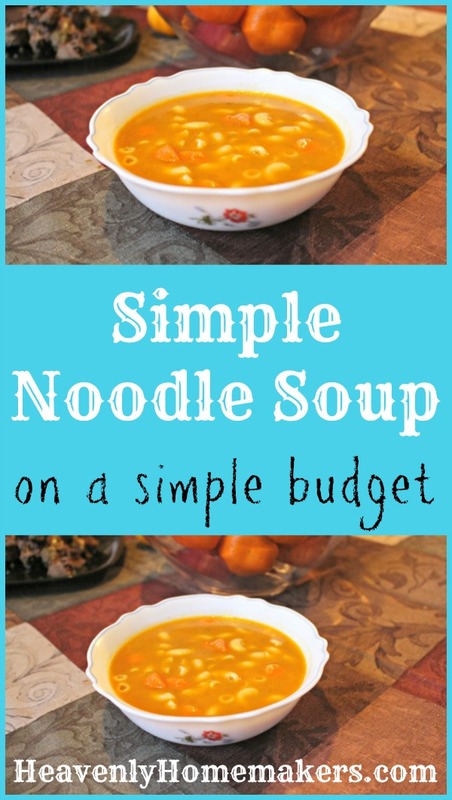 :) Remember that little tip because the next Simple Budget recipe I plan to share will use that broth! Lay chicken leg in a 9x13 inch baking dish. In a medium-sized bowl, juice and zest the lemon. Add remaining ingredients to the lemon juice/zest and stir. Bake, uncovered, in a 425 degree oven for 35-45 minutes or until juices run clear. Pssst! 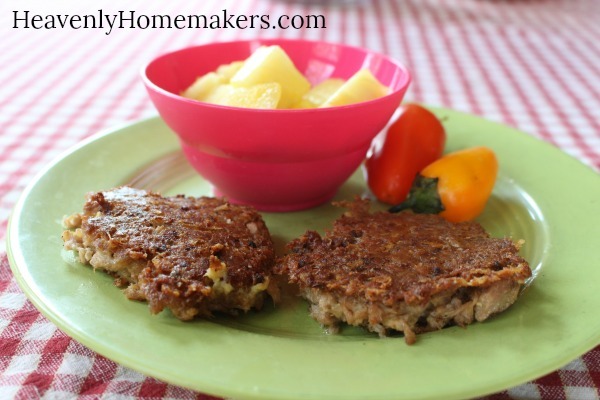 If you aren’t a Simple Meals member, please join now! The price is unbeatable and you will love how Simple Meals helps you put great food on the table in a ridiculously short amount of time each day, with minimal effort. 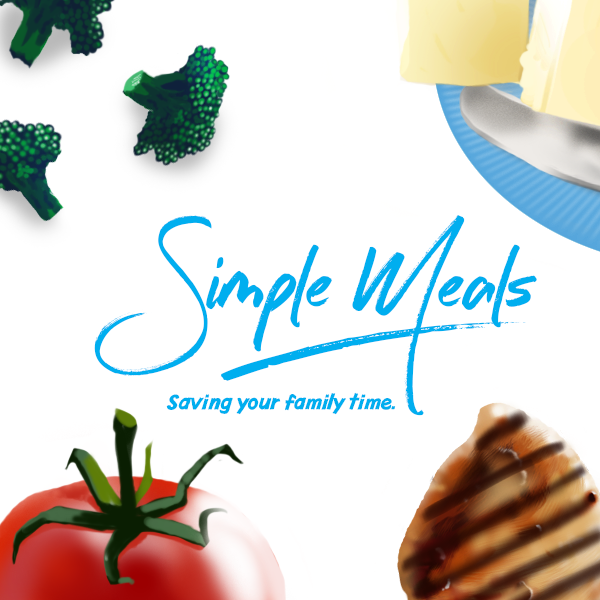 Simple Meals saves your family time! All this month, we’ve got new Simple Recipes to share that are incredibly easy on the budget. We always try to keep costs down, but the next 10 recipes we share are going to be extra inexpensive! So, prepare yourself. 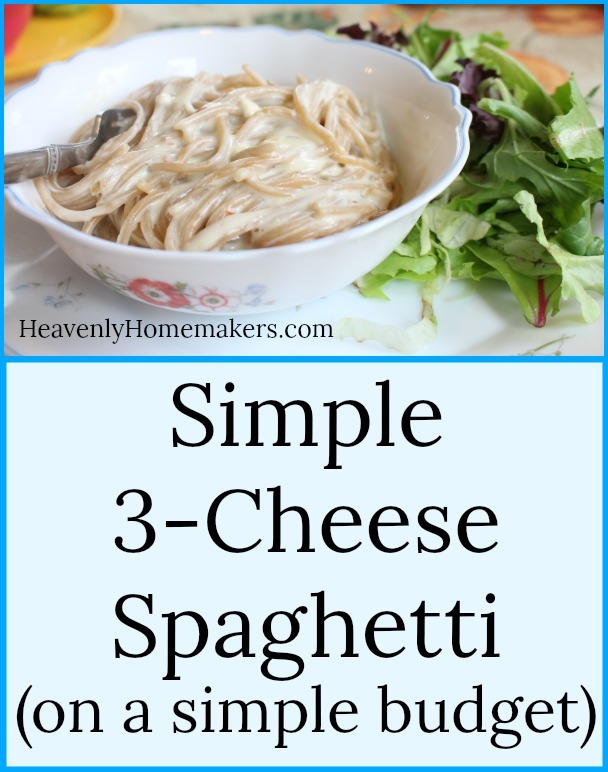 As if Simple Meals wasn’t already great, now more of the recipes will feature money-saving ideas that will allow you to serve your family food that costs a minimal amount while still being super tasty and of course, simple to prepare! 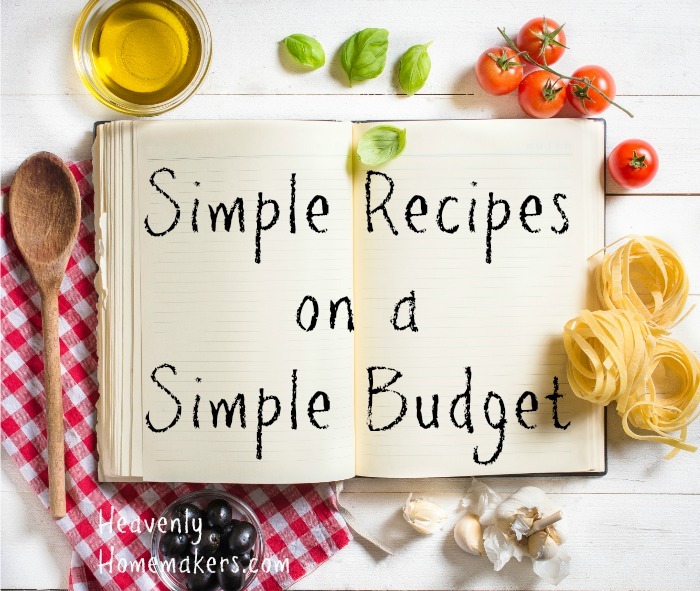 Simple Budget recipes I’m getting ready to share with you! By the way, did you know I’ve shared 50+ Simple Recipes since we began offering Simple Meals subscriptions? 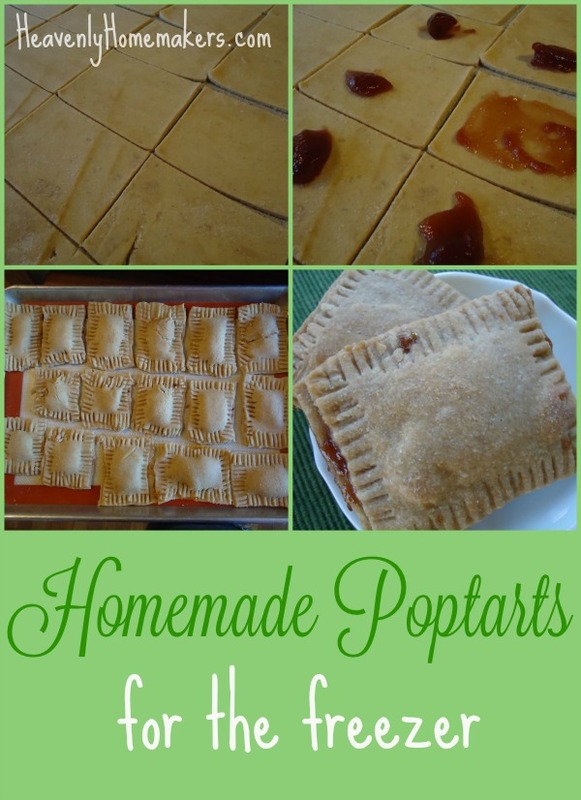 These recipes have ruined me forever for any recipe that requires more than just a few steps or a few ingredients. I’ll consider a new recipe and see that it says “saute then slice then do other things and work very hard” and I cannot handle it. We’d like our food to be “put it in a pan, slide it in the oven, yum, and you’re welcome” and if it isn’t, we just move on. It’s a good thing there are now so many Simple Recipes being offered here so we can stay on the easy train. And this month we can look forward to — more recipes! And every single one of them is super low in cost!! Recipe is very simple to put together…check. Recipe will take hardly any time to make…check. 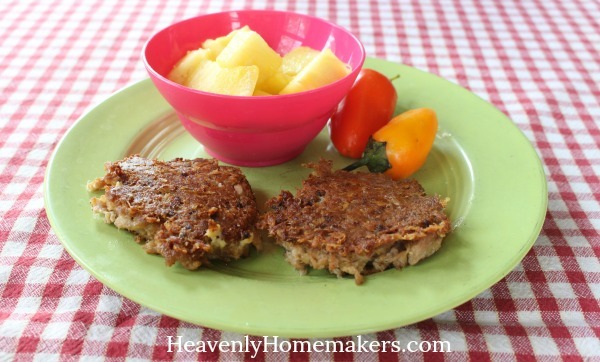 Recipe uses only real food, nourishing ingredients…check. Recipe costs very little to make…check. What else could we possibly want in a recipe? Oh!! 6. 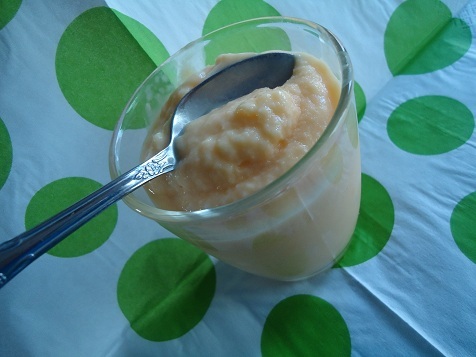 Recipe tastes delicious…check. Well, I guess that really does cover everything! 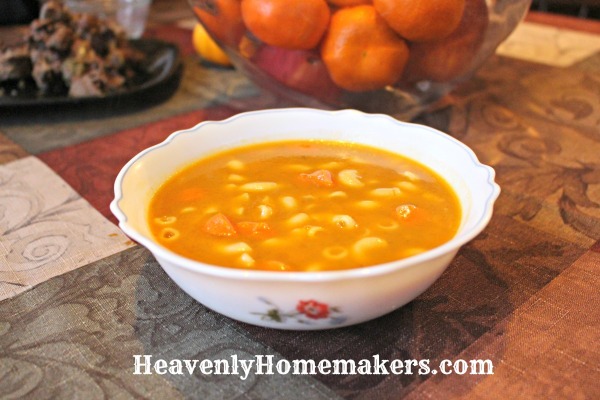 I recommend subscribing here to receive our free email each time we post a new recipe this month. That way you won’t miss out on anything new! 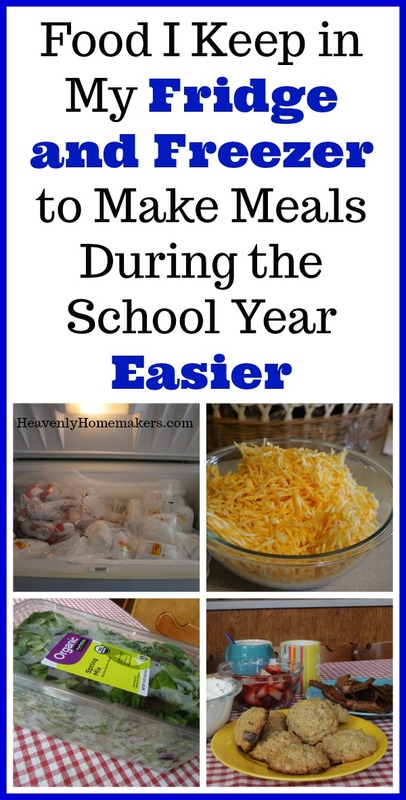 Simple as some of the items on the following lists are, I thought it was worth sharing the basic food I keep in my fridge and freezer to make the school year easier. Some of these require work (as in, I actually have to mix something or cook something). But many of these only require that I purchase them and sock them away to use as needed. Either way, having these foods ready to grab at all times (if possible!) means I can relax more when feeding my family during busy school days. 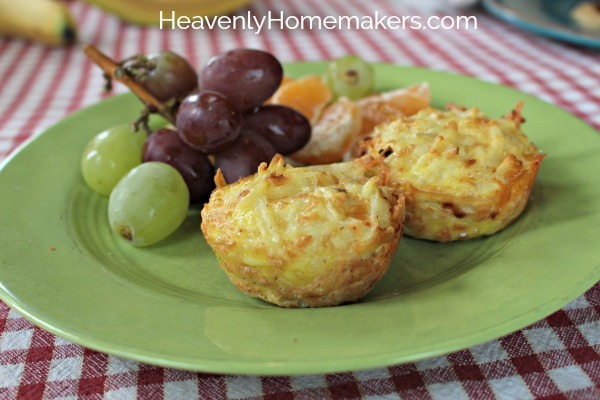 If you haven’t already downloaded our free Master Lunch, Breakfast, and Snack Ideas and Recipes Lists, go grab those here. Those lists are helping keep my planning to a minimum! 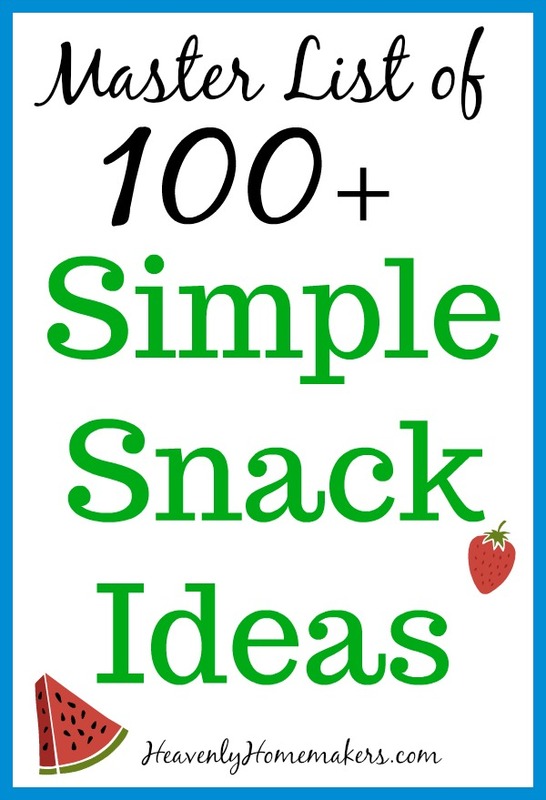 And now, the big list of food I like to keep on hand to make many of those lunches, breakfasts, and snacks! Here you’ll find all the posts I’ve ever written about grinding grain in a mill. 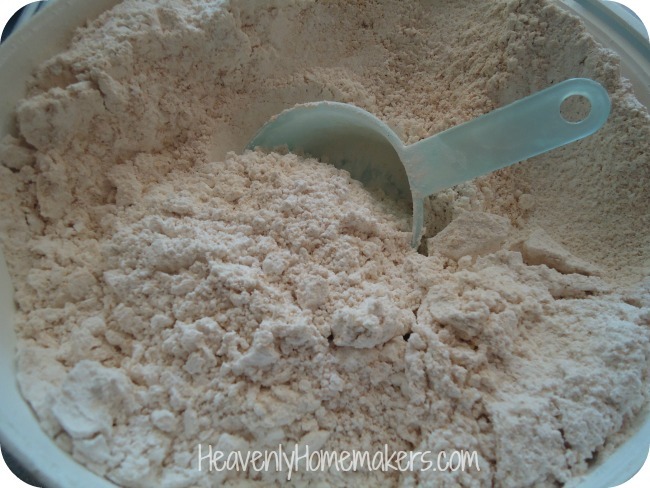 I’ve been grinding all of our flour for almost 12 years now! 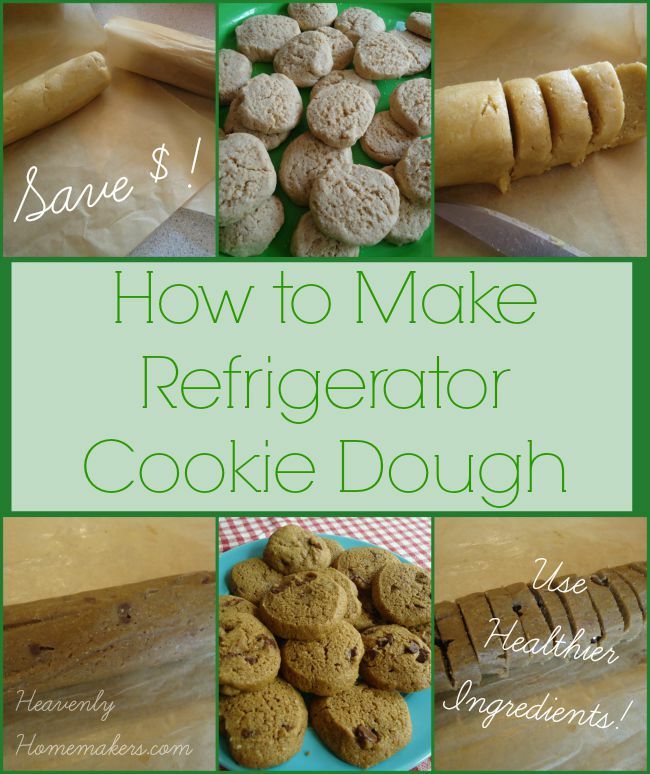 It’s easy, saves money, and doing this makes our baked goods taste so much better. It’s also great for our health! If possible, I try to keep a bucket of ground Hard White Wheat (for yeast recipes) and a bucket of Soft White Wheat (for non-yeast muffins and pastries) in my freezer so I can grab it out and bake as needed! I’ve recently mentioned that I’ve been buying some premade crusts from Azure Standard to keep in the freezer for quick pizza meals. My Homemade Pizza Crust is also freezable. 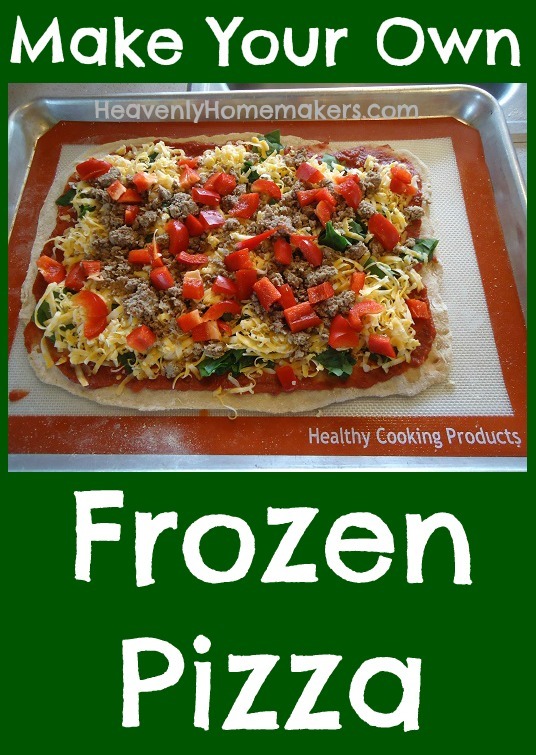 And if you want, you can even make your own Frozen Pizza! My boys would say that having cookie dough in the freezer is a necessity for a happy school year. I say this is great to have on hand when people come over last minute so we can bake cookies without making a big mess. Sometimes we mix up cookie dough, roll it into a tube with parchment paper and freeze it until we need it. More often, we scoop the dough onto a baking sheet and freeze the dough balls to make very quick cookies! Along the same lines as the cookies I just mentioned, having these Giant Breakfast Cookie Balls in the freezer ready to pull out and bake in the morning is a huge time saver! 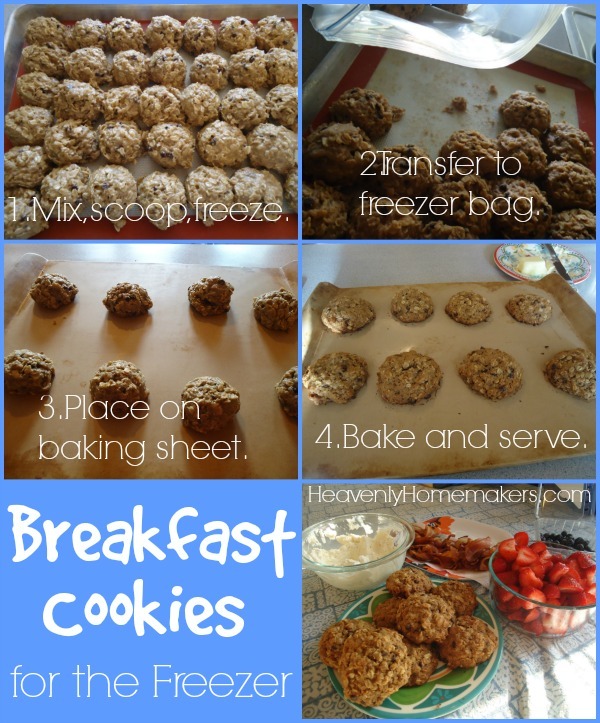 I used to bake a double batch and freeze them as a ready-to-eat breakfast. But we’ve since learned that it’s fun to pull out a few frozen dough balls and bake them fresh as needed. It doesn’t get much better than a fresh-from-the-oven Breakfast Cookie with coffee in the morning! Pre-cooking bacon to store in the freezer has been awesome! I pull out a few slices to cook for each person a couple times a week, and I can have it on the table in about thirty seconds. I love this time-saving method! 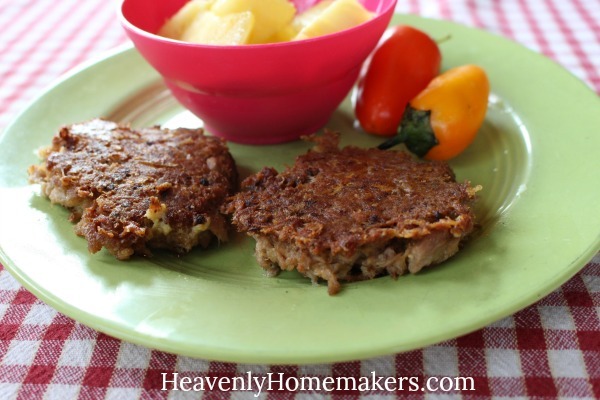 Almost as versatile as hamburger meat is boneless chicken pieces! I have learned to love boneless thighs much more than boneless breasts, and as it turns out, thighs always cost less per pound! I watch for the natural brand at my store to be marked down, buy all I can, and throw them into my freezer to use in all our Simple Recipes! 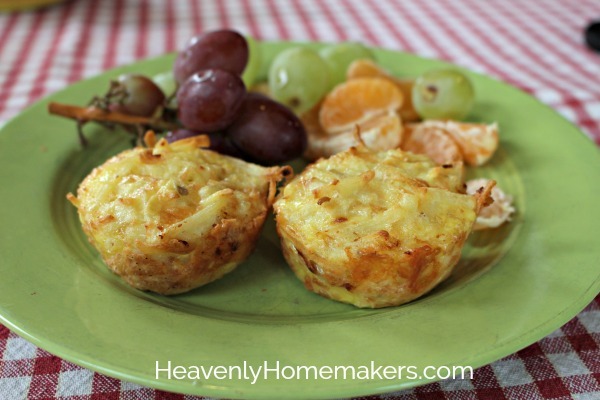 This little tip is fantastic to fill your mornings with freshly baked muffins without having to get out a mixing bowl. 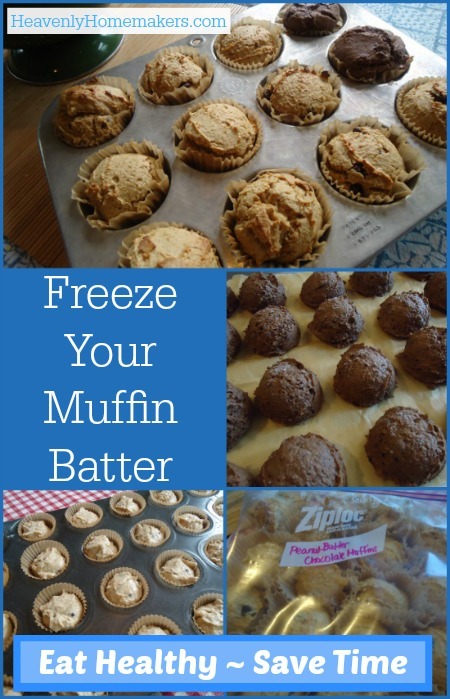 I love having several different kinds of muffin batter in my freezer, pulling out a few of each, and baking up an assortment without going to any trouble! I have big bag of frozen peas and frozen green beans in my freezer at all times. This way, even if I haven’t made it to the store to restock our fresh veggies, we always have something green to serve with our meals. These steam up quickly, and I always add a good fat to them, which makes them healthier and tastier! If I have peaches, strawberries, blueberries, and/or pineapple in the freezer, I can make smoothies, slushies, or fruit cobblers very quickly. Typically I stock up on these during the summer because they are less expensive when then are in season. I don’t always buy them pre-frozen. I often buy them fresh and freeze them myself if they are a better price this way! 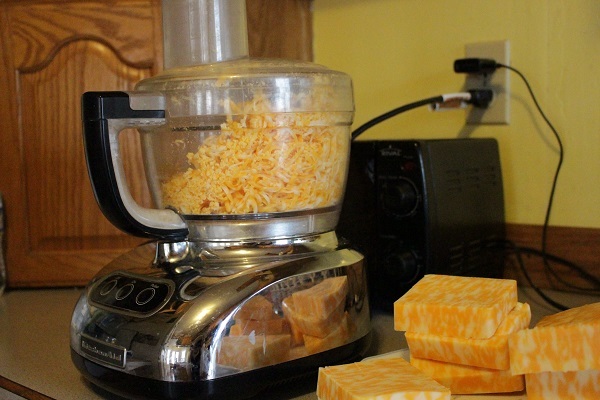 I buy 4-pound chunks of Colby jack cheese, and sometimes mozzarella too. 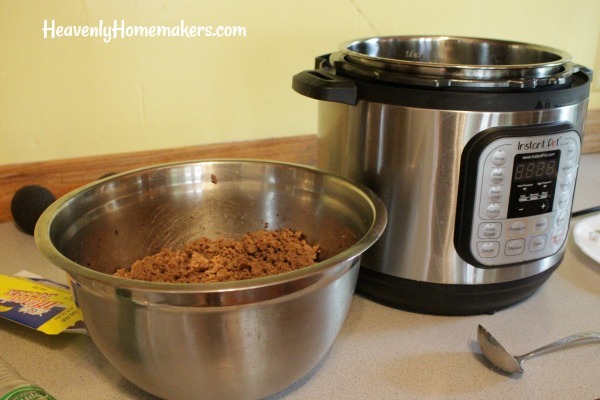 I have my boys shred it by running it through our food processor, which makes the job super fast! 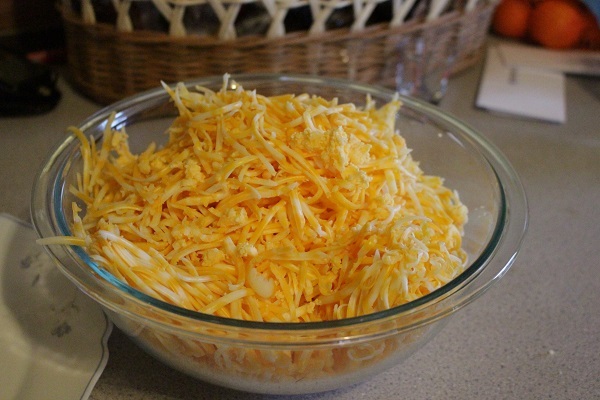 We store the shredded cheese in pyrex bowls with lids in our fridge and pull it out to use in any casserole, quesadilla, taco, scrambled egg, or anything else which calls for shredded cheese. This is, for sure, a refrigerator staple. 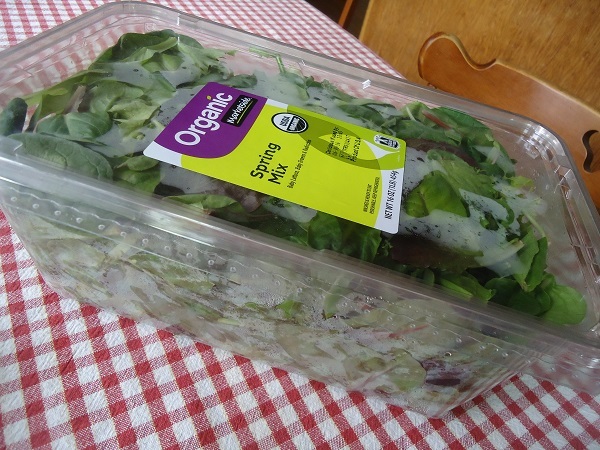 I buy a one-pound tub of these mixed greens every week so we can always have salads without any effort! Bonus: At our local Walmart, the organic greens are less expensive than the conventional! I buy 5-pound bags of peanuts from Azure Standard every month and make the entire bag into about 6 pint-sized jars of peanut butter. I figure I might as well make one mess to produce 6 jars of peanut butter to have on hand, instead of making only one or two jars at a time every single week. We go through all 6 jars in a month. 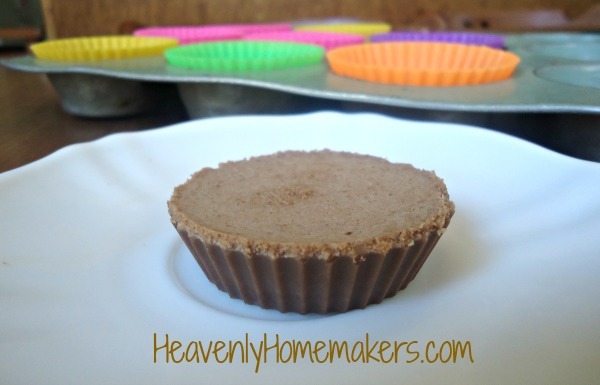 This homemade peanut butter is super delicious! 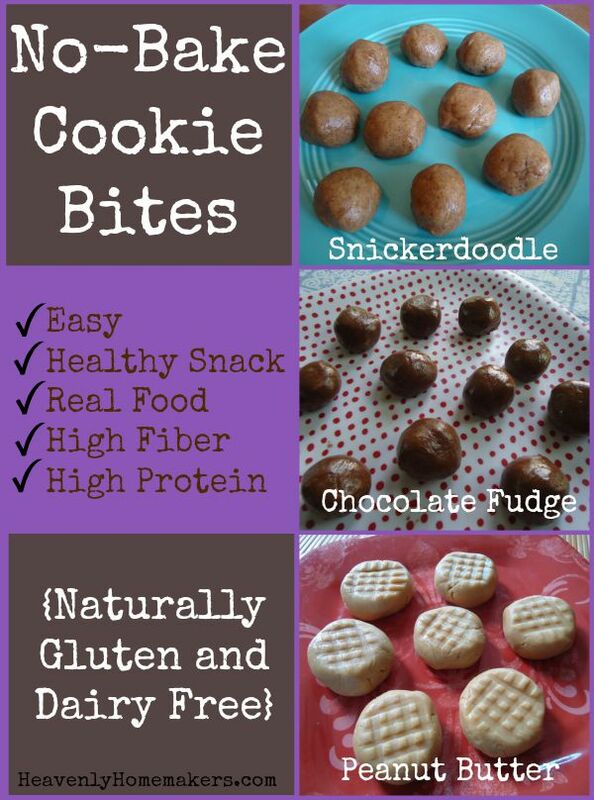 Having these No-Bake Cookie Bites, in one form or the other, in the fridge is great when any of us need a quick snack with protein and fiber. 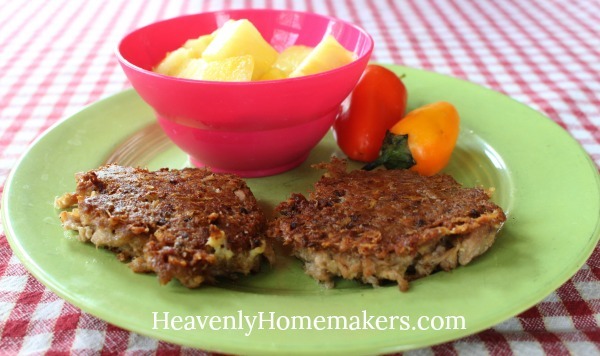 These are super low in sugar and naturally grain free. Yum, they taste good! Just like the Cookie Bites, these Fat Bombs provide us with energy from good protein and fat. 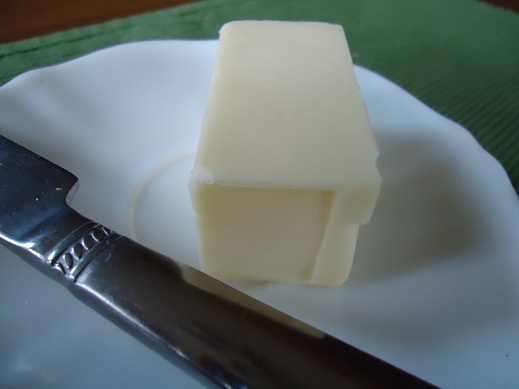 My husband and I like the Stevia Sweetened Fat Bombs. Our kids prefer the Honey Sweetened Fat Bombs. 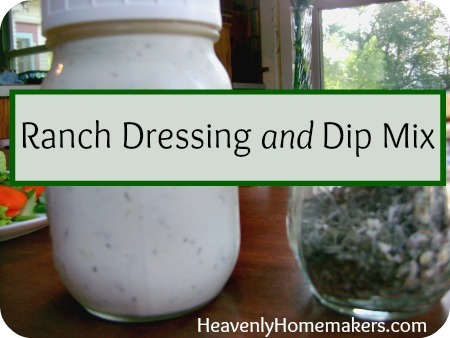 I always have a quart of Homemade Ranch Dressing in the fridge. 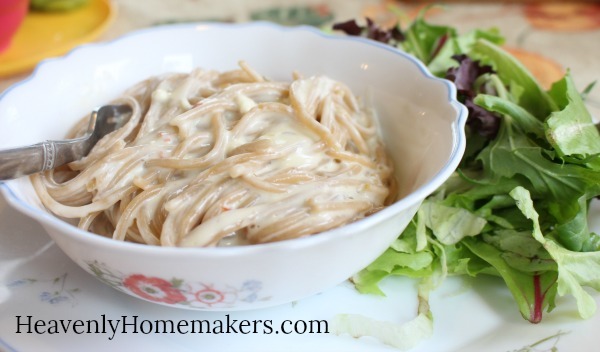 It’s is our favorite dressing, it is easy to make, and we eat salads almost every day! We almost always drink Javita coffee and tea hot, but for all of the others, I like to keep a jar of water in the fridge so that at any time, we can mix up whichever drink we need. The boys make a Rush drink for themselves before a workout. Matt drinks Flex before a hard day’s work to help with shoulder pain. All the boys and I drink Defend for an immune system boost. I drink Fiber every day to help with digestion, and surprisingly, it has helped keep me from needing to eat so often! I cringe a little if we start getting low on eggs! 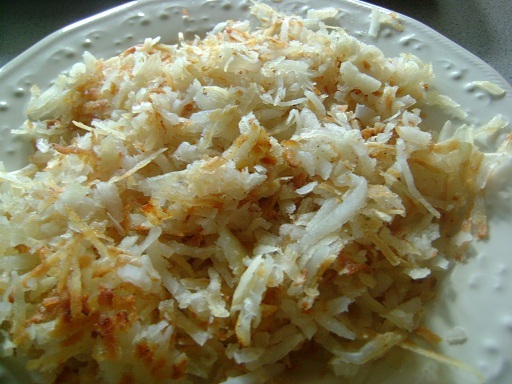 We go through several dozen each week when we scramble or fry them for breakfast, and when we are baking. Of course, now that I have an Instant Pot, I’ve been boiling them quickly too. 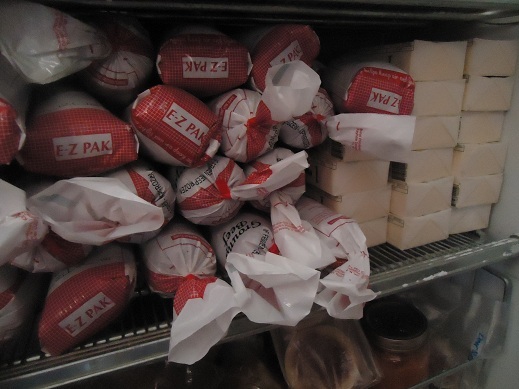 What are your fridge and freezer staples?